Well March hasn't been my best reading month.. I pretty much have resolved that this will not be my "finest" reading year. But, that's ok.. the "numbers" don't mean that much to me anyway.. just as long as I enjoy what I do read. 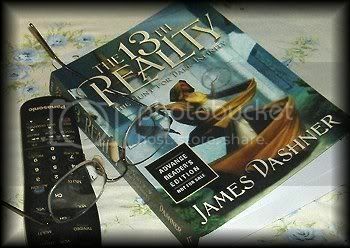 This month Mr Dashner took me to other Realities that were having some gave problems. Maureen O'Hara let me know she didn't have the most perfect life, but came out strong all the same. Walter Koenig showed me more of his humor while also letting me know that his self esteem wasn't that of your average movie actor. 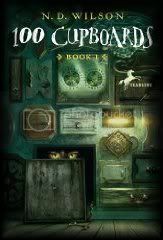 100 Cupboards.. a surprise and a very enjoyable book! I am still reading Dandelion Fire. It's good but I'm thinking 100 Cupboards is better.. but then I am not done yet so I really can't say that is definite. I probably shouldn't even count Dandelion Fire for March since I am only about 1/2 way through it but I put it on my list when I begin to read a book.. so it's gunna stay! 5 shots rang out and scared me to the point I slept 1 hr from 5 to 6 am.. The police were all over but it was a drive past shooting again so of course no one is arrested. They are either trying to scare or shoot the local on this street that sells drugs, but bullets don't have names on them. I'm more than scared and have no place I can go to each night and come here during the day to take care of the cats and continue packing for my move... I also have no real idea where I can go. I just know I'd give anything to have someone staying here with me while I get this done. I may well need someone to drive a UHaul to Florida for me..I would, of course pay to fly them home again.. problem is.. finding someone. Let me tell you.. alone is not a good thing when you need reassurance and need help getting things done so I can get out of here before I get shot. or worse: killed. Funny thing is, that if a stray bullet came thru the house and killed me, no one would know for at least a week when the relatives inheriting this house call to see if I need to go food shopping. I will try to leave a blog message before I pack up the computer but, if things get really hectic I won't be able to, but I will try to get on someone's computer just to leave a message so no one thinks I have been shot. So much needs to be done.. more packing.. then putting it in a UHaul.. finding a driver that would put up with me all the way to Florida (I don't really want to go there but it's the only place I know a few people I could call on for an emergency if I lived there) All the address changes..how does one do that when I don't know where I"ll be? I mean, maybe I can stay with someone for a few weeks but then change the address again on everything???? I know I'm babbling again from nerves.. so I'll shut up now. Well.. I completed The Journey! So now I don't have the pressure to finish my next Quest. Not that it's really pressure since all I am doing is reading my favorite type of books anyway! So, next I tackle Quest the First, which is to read 5 books in any of the categories. I don't know if I will finish this Quest or not but I will give it a go! Henry York's parents have been kidnapped biking in South America, and so he is sent off to live with his aunt, uncle, and three girl cousins on their farm in Kansas. Henry is not a farm child; he's never had soda, thrown a baseball (or owned a ballglove), and he's never used a knife, not even a pocket one. 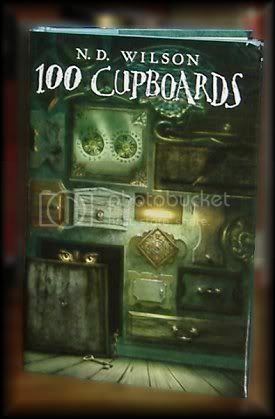 The novel takes its time setting up the situation and slowly but surely revealing the mystery of the cupboards, all of which is charmingly fun. The mystery builds for close to a hundred pages before Henry really starts working with the cupboards, but there is never a boring moment. The writing takes you by the scruff of your neck and makes you read on. The suspense is really quite good as well, which will provide younger readers with a bit of a bedtime chill. Henry has gone to live with his Aunt and Uncle in Henry Kansas. By the time I reached the first 45 pages of the book I knew I liked young Henry.. and I really liked Uncle Frank! Henry had continued chipping plaster and uncovering doors until he could count thirty-five in all, and he had no doubt there were more. Most of them were wood, but of all different sizes, grains, and colors. The shapes varied as well as the designs. Some were plain, and some had surfaces so intricately carved that getting the plaster out of all the curves and crannies had been impossible. Some had knobs, come small handles, some slides or things Henry had never seen. There was one with nothing at all. He had pushed and pulled and lightly thumped on every single one, but without effect. And the, always, he had gone back to chipping plaster, making his newly sharpened knife dull and duller. A large blister now crowned his thumb from pushing on the blade to keep it open, and the knuckles on both of his hands were missing skin. I like the characters Wilson has introduced us to. Henry is our main protagonist. A young boy who has come to stay with his Aunt and Uncle until his parents are found. Henry quickly falls right into place at the house and makes friends with the unusually quiet Uncle Frank, and one of his female cousins Henrietta. I'm sure most of this book is the set up for the entire trilogy (if that's what it's going to be?) 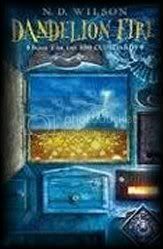 The Cupboard full of doors is an interesting way for a young boy and his cousin Henrietta to get into trouble with.... and they do that very nicely before the book ends! So many doors... and so many ways to get into trouble... and into danger! I don't want to give away anything.. but I will say it was a very enjoyable read. At first with its small stature and double spaced lines I thought this was something "younger" than I wanted it to be. I was only partly right. It is a story for YA... but I was totally captured by it! The book does come to a nice ending, so that one doesn't have to jump right into the next book... but since I have the next book.... I will begin reading right away! Becky has seen fit to give me this award .. Becky, who reads and reviews more books than I could ever read in a life time! If you even are in doubt about a book, just wait a day or two and a review will show up at Becky's blog! She's great! I want to thank Becky for this honor... and I know I am supposed to hand it out to others... by now everyone knows what a difficult time I have doing that! Not everyone has to read as many books as Becky for me to enjoy their blog and to think they are incredible for all the work they put into blogging... So the deal is: if I've left a comment on your blog ..at any time!... 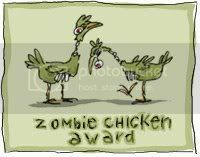 you are entitled to this award!! Well, that didn't take long! I finished my first Fantasy book for Once Upon a Time III ! Halli Sveinsson has grown up in the House of Svein, listening to the legends of the heroes as all his forefathers did. His is a peaceful society where the violence of the past has been outlawed and disputes are settled by the Council. But young Halli has never quite seemed to fit in with the others. For starters, he was not at all handsome or tall, like his attractive blond siblings. He's stumpy and swarthy, with a quick mind and aptitude for getting in trouble. Bored with the everyday chores and sheep herding, he can't help himself from playing practical jokes on everyone, from Eyjolf the old servant, to his brother and sister. But when he plays a trick on Ragnor of the House of Hakonsson, he goes too far, setting in motion a chain of events that will forever alter his destiny. Because of it, Halli will have to leave home and go on a hero's quest. Along the way, he will encounter highway robbers, terrifying monsters, and a girl who may finally be his match. In the end, he will discover the truth about the legends, his family, and himself. Jonathan Stroud's new novel is a hero's saga and coming-of-age--as well as a surprising look at what bravery really means. I was a bit leery to read this book by Jonathan Stroud because I sooooooo love his Bartimaeus Trilogy! Between my emotional problems right now, and the fact that as soon as I picked up this book I began to think about a humorous demon, I did have a slow start getting into this book. It's hard enough to pick up a book when you come off of one that you loved so much you can't quite shake it from your mind, let alone one that stays with you for a really long time. But Stroud seems to have a way of making characters that you want to read about. This time he makes his main character something less than perfect. In fact.. he's pretty much the underdog. Which of course makes you want him to come out on top. The book is pretty much two stories in one. At the beginning of the chapters you get a small amount of a story of "heroes of long ago". The ancestors and the heroic stories that Halli grew up on. Then what follows is Halli's story. Amazon did a good job giving a synopsis of the book. It's very clever how it was written so that you are always seeing if there are any comparisons between the past and the present. The heroes story is so fantastical you even begin to wonder if any of it is real, or just stories that somehow have lived through the years. 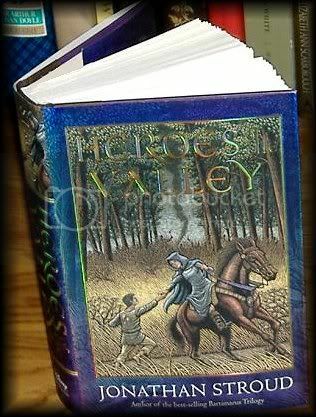 It's safe to say that eventually I managed to break away from my love of Bartimaeus and enter Halli's story. Once entered, I found I picked up the book more than once a day. It moved along just quickly enough that you always wanted to read just a little more to see what Halli would do next! I've been remiss about responding to some wonderful gifts.. It seems that Susan at You Can't Have Too Many Books has given out an award and I was a recipient! This blog invests and believes in the PROXIMITY-nearness in space, time and relationships. These blogs are exceedingly charming. These kind bloggers aim to find and be friends. They are not interested in prizes or self-aggrandizement! Our hope is that when the ribbons of these prizes are cut, even more friendships are propagated. Please give more attention to these writers! Deliver this award to eight bloggers who must choose eight more and include this clever-written text into the body of their award." 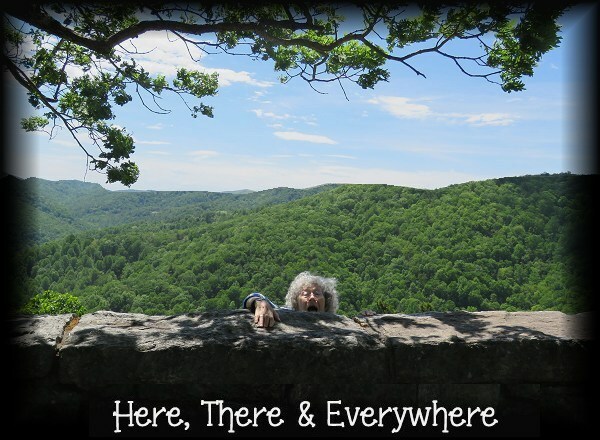 Susan is fairly new to my blog list, but once I found her I do check her blog each and every day. Not long ago she delighted me with photo's that she took when she visited England, something I had always wished to do myself. Cj over at My Years of Reading Seriously has given me a sisterhood award! 4. DesLily of Here, There, and Everywhere - Pat is priceless. It's that simple. She's had a rough time lately but has continued to keep putting one foot in front of the other. And it's nice to have someone around here who seems to remember the same things I do! 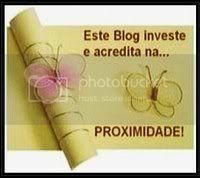 As with all awards I am to pass it on to 10 others of which I have a very difficult time doing, since I always believe that all the blogs I read on a daily basis deserves all the awards that come along.. This is a very neat award. I don't know who started it but it has the faint ring of "the sisterhood of the traveling pants" .. and that's pretty nice. My life hasn't been the best these past few months and especially this last month. Many things are up in the air for me right now and with much depression, lack of sleep and feeling as if I have some health issues of my own, I'm not always "with it". And so I apologize for not having responded to these two really great gifts I've been given..
Wow, I actually got books delivered on Monday in time for my version of Bad Bloggers! Two out of the three books gives points to Becky!! That would be Graceling and Wings! Tuck on the other hand is my own fault..heh. 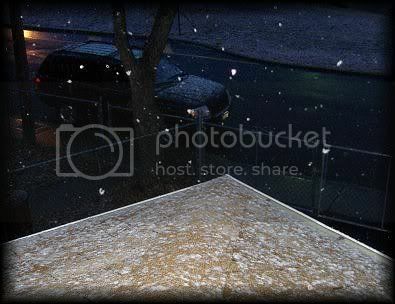 It's the first day of spring.. Although I am not feeling the happiness I generally feel on this day, I am still very glad that it's the day that Carl's Once Upon a Time III begins. Filled with Journey's and Quests that should not be ignored, Carl's reading challenge to read Fantasy, Fairy Tales, Folklore or Mythology is one that takes you into the realms of your mind that need to be nurtured and not forgotten. I can remember my discovery of this challenge while it was in progress for the very first time. A day didn't go by that I didn't click on all the new links to read all of the reviews! I couldn't believe all these people reading the same kind of book "only I enjoyed" ! What a revelation to me! I was in hog heaven! Once Upon a Time dragged me, kicking and screaming, (yeah right) into a whole new world of book review blogger's.. A fact I will always be happy about. 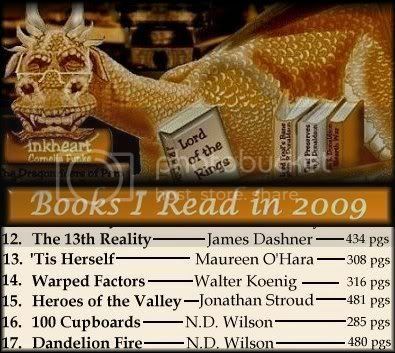 That year was the first time that I tried to keep track of how many books I read..heck, I never did anything like that before! And last year I read 101 books! And I can tell you, I never, in my 65 years read that many books in one year.. I always thought it great if anyone read 12 books a year.. I mean one book a month for busy people sounded extraordinarily good to me! And it still does. Anyone that takes the time to read, no matter how many books or how few, feeds your inner self. This year I am committing to the smallest and easiest, The Journey. But as always I will strive to also do Quest the First. This is really as simple as the name implies. It means you are participating, but not committing yourself to any specific number of books. All reading is a journey, perhaps none more so than reading fantastical fiction. By signing up for The Journey you are agreeing to at least read one book within one of the four categories during March 21st to June 20th period. Just one book. If you choose to read more, fantastic! If not, then we have still had the pleasure of your company during this three month reading journey and hopefully you have read a great book, met some interesting people, and enjoyed the various activities that occur during the challenge. It has always been of utmost importance to me that the challenges that I host be all about experiencing enjoyable literature and sharing it with others. I want you to participate. Hence, The Journey. 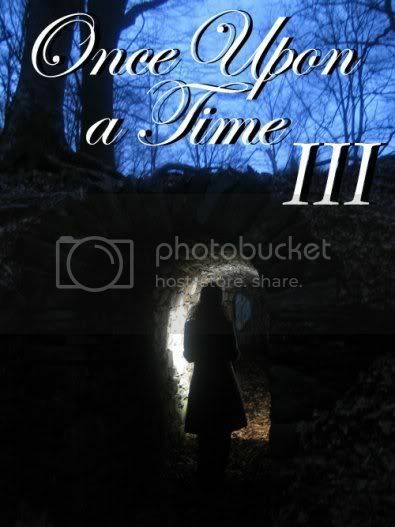 Read at least 5 books that fit somewhere within the Once Upon a Time III criteria. They might all be fantasy, or folklore, or fairy tales, or mythology…or your five books might be a combination from the four genres. As always I know my wish list will grow considerably during this challenge, and I look forward to reading many reviews that will either entice me to get a book or give me the deciding factor that the book is not for me. Either way it's a great way to have all the information that everyone provides. Here's too three months of Fantasy, Fairy Tales, Folklore and Mythology reading! 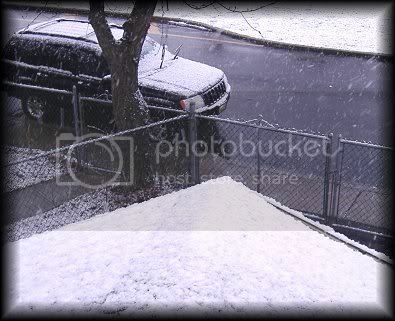 Yes, it is the first day of Spring, but the visual picture was saying something else. 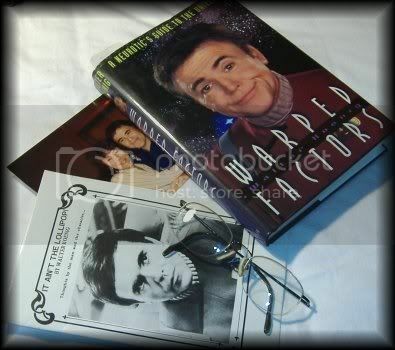 Warped Factors by Walter Koenig "A Neurotics Guide to the Universe"
Known primarily for his role as the confident Pavel Chekov in the Star Trek series and films, Koenig (Chekov's Enterprise) offers a surprisingly fretful memoir, focusing on his lifelong battle with neurosis and the toll it has taken on his personal and professional relationships. The book's first half covers Koenig's childhood experiences and early TV roles, with the remainder devoted mainly to his career on the U.S.S. Enterprise. Even success in early TV roles on Combat! and General Hospital failed to mitigate Koenig's "Quasimodo" self-image, which carried over into his worldwide success with Star Trek. He often complains about his treatment on the show: regretting that producer Gene Roddenberry ignored his script ideas, feeling dismissed by Spock actor Leonard Nimoy and envying George Takei's (Sulu) sword-wielding performance in "The Naked Time" episode. Koenig's honesty, humor and obvious intelligence do much to enliven the book (one of several intros hilariously sends up the entire crew), as do flashes of terrific writing. But the Star Trek show and films have been reported upon innumerable times, and so this book, for all its charms, will likely appeal mostly to diehard Trekkies. As many of you know, I am of the age to have been a fan of the Original Star Trek. Later to have the luck of the Irish, and to become friends with Dr. McCoy himself. In the interim, there were Star Trek Conventions! I lived in Florida when I first started going to conventions. The two most frequented guests were Walter Koenig and George Takai. Both, very nice people and genuine fun to be around. Fast forward many, many, many years. Conventions still happen, but have gotten so expensive I rarely go. But there are Autograph shows now... much cheaper to get to but still expensive once you are hooked into "autographs"! Over the years I have seen Walter Koenig numerous times. I think of all the Original Trek people Walter always made himself the most approachable. It was standard that while you walked around the dealers room you would eventually run into Walter who would be strolling around looking at all the dealers tables. He never turned anyone away who walked up to him and began to talk. Not only a fine actor.. but a fine human being. A number of years ago it seems most of the Trek folk decided to write autobiographies. Having felt I knew them fairly well already.. or at least as much as I wanted to, I never got into the books they wrote. As all who read my blog know, recently I've had more than my share of lost loved ones. It makes one feel very vulnerable to life itself. And so when I saw that Walter was coming to the autograph show in April I knew I wanted to see him. Walter is 73, I am 65.. time marches on at an accelerated pace. It could be the last time I see him.. so yes, I am going to try like heck to see him in April. I was hoping to get a new copy of my favorite book by Walter called Chekov's Enterprise, but with all things considered I wound up sending for what I thought was his Autobiography. One thing that I already knew about Walter, from Chekov's Enterprise, was the wonderful sense of humor he has, and so when I read that Warped Factor was humorous.. I sent for it. I wanted to feel closer to Walter before seeing him again, and my memories of the times I did meet him were running thru my mind at the same warp speed that life was passing by. I looked at the book cover and even though he is making a funny face he is in uniform.. he is Chekov, which spurred my memory to the one and only time I met Chekov on the set when they were filming Star Trek 6. It was good. It was always good because Walter was always such a nice person to be around. Let me begin with a little something from the beginning of the book... just so you can get a feel for his sense of humor I spoke about..
Students in 2A-1 were destined to skip a grade and someday become Eagle Scouts. Those in 2A-2 and 2A-3 had the multiplication tables down cold and already had experienced some insight into long division. 2A-4 through 2A-6 pupils had mastered the rudiments of cursive handwriting, could carry a tune, and were generally the most popular kids in the grade. Girls were equally represented with boys in the firs six sections. 2A-7, 2A-8, and 2A-9 were not so much sections as there were pens and stalls. Admission here was by being dropped through a trap door and poked at with a long stick. Among these students, tongue lapping of nasal mucous and farting on cue were art forms and, in keeping with Darwin's theory of survival, an early death was a foregone conclusion. Eighty percent of these children were male. They ate mustard sandwiches for lunch, could remember the names of only three people outside their immediate family, and hadn't conquered the intricacies of saluting the flag. Imagine my mortification when I realized I had been dumped among these miscreants. Imagine how I pleaded with the mother of all mother-betrayers to release my hand, to let me go home, to start over in Uruguay. Imagine, if you will, the life-shaping moment as the classroom door swung open at the precise instant I screamed out: "I DON'T WANT TO BE IN THIS SISSY CLASS!! Now imagine the former district attorney of Gotham City... who, after suffering an explosion which permanently disfigured him and his psyche, changed from Harvey Dent to Two-Face and became an arch foe of Batman.. and you begin to get a picture of the woman staring out at me from inside the classroom. Just so you know, the book does have more serious parts, but his humor is hard to disguise. Also this book is more of an autobiography of Walter and his career and not so much his private life or family man. That's ok . 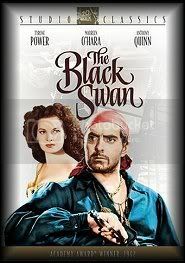 I had just finished reading Maureen O'Hara's book and it had a bit of everything in it... this was good in other ways. I was astounded to find out that Walter was a bit like me.. he was always waiting for the other shoe to drop. ... and for whatever reason, it always did seem to drop! He didn't have the easiest of times during his career, as with many others there were some real highs and many not so great lows. I did come away from this book feeling like I knew him better, which is a good thing because I am still hoping I can somehow go to the autograph show next month and see him once again. If you were ever a fan of the Original Star Trek and enjoyed "Chekov", I would say that you would find this book quite interesting and you'd get some chuckles on the side. Not a bad combination if you ask me. Reading this book just may make me get the books the others wrote. Maybe after all these years it's time to read them now. Well, I sent for 3 books, all of which get points doled out to them! 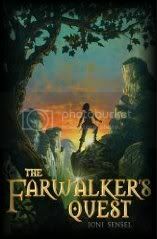 The first book is Farwalkers Quest... Becky gets a point for this one! Second and third are a combination: 100 Cupboards. For this one two people get points because it was their reviews that made me want it.. that would be Chris (my own son!) and Nicola. All that being said.. I also give Carl THREE points for all three books!.. it's because of him and Mary that I sent for these books. 'Nuff said eh? Film legend O'Hara (b. 1920) and her collaborator, Nicoletti, have assembled a delightful anecdotal autobiography. She calls it "the tale of the toughest Irish lass who ever took on Hollywood and became a major leading lady of the silver screen." 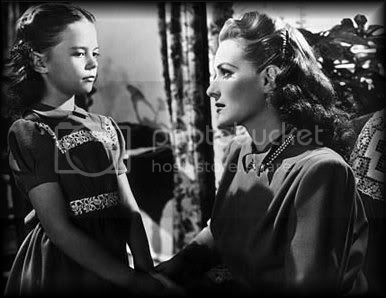 Born in a Dublin suburb, Maureen FitzSimons was a child radio actress, joined the Abbey Theater at age 14 and was cast in two major films before she was 19. 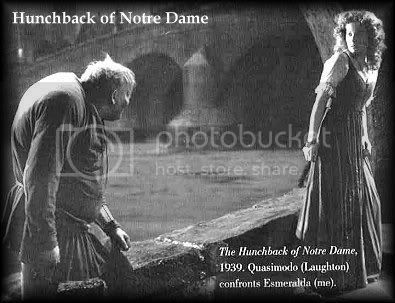 After Alfred Hitchcock's Jamaica Inn (1939) came The Hunchback of Notre Dame (1939), launching her career of 60 films. Many were top productions, yet O'Hara never received an Oscar nomination: "Hollywood would never allow my talent to triumph over my face." She recalls highlights and hurdles, including confrontations with stars and directors, commenting, "I have acted, punched, swashbuckled, and shot my way through an absurdly masculine profession during the most extraordinary of times." With her hazel-green eyes and red hair, O'Hara was dubbed "Queen of Technicolor," but yearned for more than "decorative roles." During her lengthy friendships with John Wayne and director John Ford, she saw "the darker side of John Ford, the mean and abusive side." In concluding chapters, she writes about her TV appearances as a vocalist, the mysteries surrounding the death of her husband, Brig. Gen. Charles F. Blair and her life in the Virgin Islands, where she ran an airline (Antilles Air Boats) and became publisher of Virgin Islander magazine. Hollywood's heyday returns to life in this revealing, insightful memoir. O'Hara treats readers like close friends, and her powerful personality is evident throughout. What an enjoyable book this turned out to be! 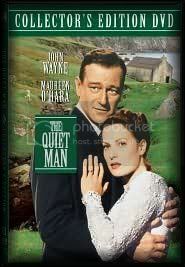 It happened that one day on TCM they were showing one of my favorite movies, "the Quiet Man" and when the movie was over they talked about the Duke and Maureen O'Hara and mentioned that there was an autobiography out, so of course, I searched and found a softcover book and sent for it. 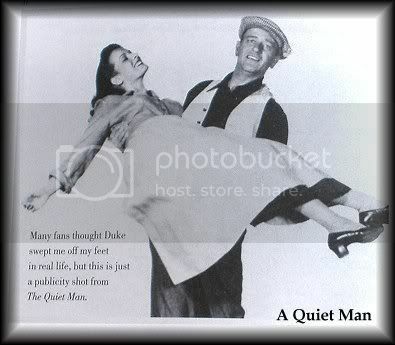 I guess part of me wanted to read what she had to say about The Quiet Man and McLintock, both of which she stared with the Duke, and both were very comical. I am happy to say she talked about both movies but The Quiet Man is probably her absolute favorite piece of work that she did. Anyone who hasn't seen that movie really should! 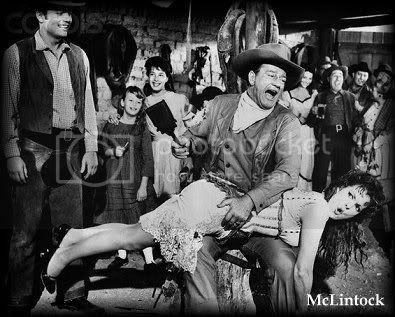 Not only is it my favorite O'Hara movie but one of my favorite John Wayne movies too. Strange how I had forgotten many of the movies that I knew darn well she was in. I am guessing it's because they are on TCM so seldom. 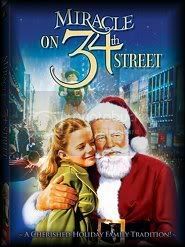 One movie was with the famous Charles Laughton. A little movie called The Hunchback of Notre Dame! 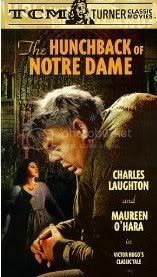 This was actually her second movie.. Charles Laughton wanted Maureen for the movie but was told she would have to do Jamaca Inn if she wanted the part in Hunchback of Notre Dame. 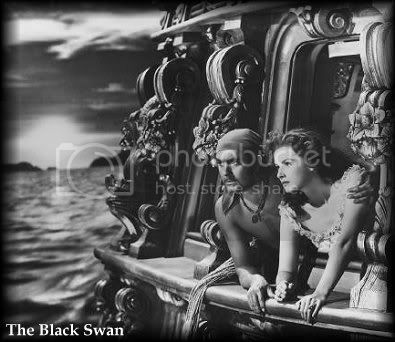 It was Laughton himself that wanted Maureen for the movie, and got her. I loved how this book read. You felt like you were sitting with Maureen and she was casually talking about her life. The movies were injected right where they should be but they weren't just movies listed one after the other with long talks about them. 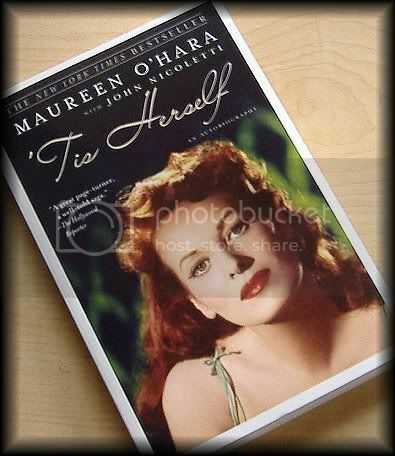 Yes, she talked about her movies, but they weren't made out to be the only thing there was about Maureen O'Hara. Anyone who is a fan of her's should read this book. It wasn't like most autobiographies I've ever read, and it's well written and well told. (NOT..) All quiet on the Western Front. I have no idea why or what happened but things are still hairy around here. Amazon Review: It s been a quiet summer for Tick, Paul, and Sofia, but the latest message from Master George changes everything. The Realities are in danger and from something more terrible than Mistress Jane and the mutated Chi karda of the Thirteenth Reality. People from all Realities are unexplainably going insane. Worse, some Realities are fragmenting, disintegrating into nothingness. Master George has learned that Mr. Chu from the Fourth Reality is working on a mysterious new weapon called Dark Infinity. But no one has any idea how to stop the weapon or even if it can be stopped. To make matters worse, Tick and his friends have been kidnapped, forced to wink from Reality to Reality, solving impossible riddles in order to survive the deadly traps surrounding them. Mistress Jane and Tick find themselves in a race to reach the weapon first but who will destroy it and who will become its master? Well.. to begin with.. SQT gets a point for me reading this book! This is book 2 of a series by James Dashner, book one being: The Journal of Curious Letters. This book comes up with a tree called Prime Reality, with twelve branches, or alternate realties, or versions of Prime, growing off it. Master George and Mistress Jane both have instruments that make travel between the realities possible, but only one of them supports diversity. Book 2 brings another opportunity for the kids to be off on another world saving (make that: reality saving) adventure . Atticus "Tick" Higginbottom... great name don'tcha think? I do ! Tick, as he's better known as, and his friends are winked off to another reality by Reginald (the bad guy) and wind up having to survive his tests to see if he is worthy to become his assistant in the Dark Infinity. 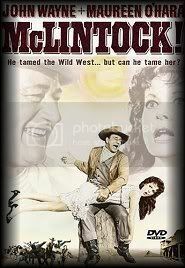 To make matters worse Reginald tries to pit Mistress Jane against Tick and tells them one must win, the other must die. Anyone who read and enjoyed book one will be glad to see their favorite characters back and off on another adventure. One of the good parts of these books is that each adventure "ends" without a cliffhanger of some sort, (at least so far). And yet they also "advance", so things certainly change with each story told. These books are good for both boys or girls and for adults like me, when you want something a little easier to read. The book is set up to my liking: double spaced, good clear fonts, and short chapters. When this is integrated into any book (YA or otherwise,) I tend to enjoy the book a whole lot more ! I'm not sure where these books are headed, but I feel sure that Mr Dashner will keep the adventures coming for some time to come. I do not have any reservations saying that I would recommend his books to my own grandson (and have sent him the books). The age group 9-12 seems about right for the age that would enjoy these books the most... but.. I enjoyed them too.